While doing surrogacy can be expensive and complex, from a biological point of view it is a fairly easy option at accept, as you are using your own eggs and sperm to help you to have a baby. The surrogate is just hosting your baby for nine months , and then handing it over to you, which is why there isn’t too much emotional angst when making this decision, if you can afford it . However , when it comes to options such as using donor eggs or donor embryos or donor sperm , things become a lot more complicated . It’s hard wired in our brains to want to perpetuate our genes and we all want children who carry our own DNA. When you find you are infertile, it’s hard enough to come to terms with the facts that you need medical assistance to have a baby – a natural biological process which millions of women have been performing effortlessly in their bedrooms for centuries. To then find that you will not be able to have a baby with your own gametes can be heart-wrenching and every one copes with this bitter truth differently. Some are quite detached and logical about this. We want a baby, and if my eggs are not good enough and I need to use donor eggs to have a baby, we are quite happy to go ahead. Others find this option unacceptable. They are so hell-bent on having a baby who carries their own genes ( either for personal or religious reasons), that they will move heaven and earth to look for a doctor who can help them fulfill their dream. These patients often get taken for a ride by doctors who promise to use “stem cells” to regenerate their ovaries ! The issues become much more complicated if the husband is okay with using donor eggs and the wife refuses - or vice versa . Resentment often starts building up, because one partner starts feeling the other is acting as a road block by not being cooperative. As a husband said – Just because your eggs are not good enough, why should I be deprived of the chance of having a baby with my sperm ? You are being selfish and unfair by refusing to use donor eggs ! And at least the child will have 50% of my genes ? And you’ll get to experience pregnancy and childbirth as well. They can often come to an impasse which can be very hard to resolve , because these are emotional issues which can't be argued logically . These are not mathematical issues and there is no question of 50% mine and 50% foreign. If you are not 100% sure that you can love the child 100%, no matter whose eggs and sperm you use, then you should refuse to go ahead. Don’t buckle down under emotional blackmail because you will then end up making a decision you may regret the rest of your life – and if you are not happy, you will never be able to keep anyone else happy ! This would be very unfair on your child. Many others are willing to explore the option, provided they can find a donor who matches their requirements. They hunt donor banks with a shopping list, to find someone who comes up to their expectations. Some thoughtful women are very worried if they’ll be able to accept a child who does not have their own genes as their own. Will I be able to love the baby ? Every time I hold her, won’t I resent the fact that she does not carry my DNA ? These are hard questions, to which there are no easy answers, but it’s the couples who go through this soul searching who end up making the best parents. Because they have played all these scenarios in their head, and then made a well-informed decision, they are at peace with themselves and find it easy to love their baby. 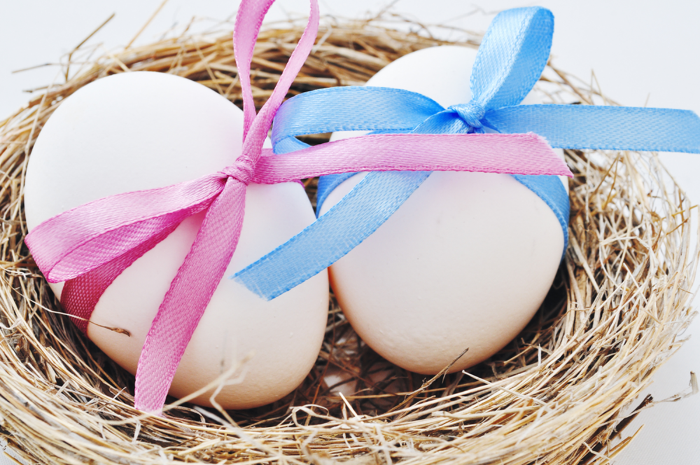 Many couples are mature enough to be grateful that today the technology exists by which we can help the to have a baby – and they are appreciative that there are young women who are generous enough to be willing to donate their eggs. They make excellent parents, because they have spent so much time and energy to getting pregnant. They love their child unconditionally , and lavish a lot of love and energy on these fortunate children ! Not sure if using donor eggs is the right option for you ? http://www.drmalpani.com/malpaniform.htm so I can guide you better ?